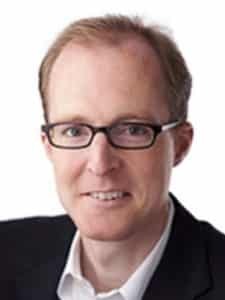 NEW YORK CITY, NY — James Henry has been actively involved in the internet and telecom industry for more than two decades. His extensive and multi-disciplined knowledge of the industry is the product of his roles as an equity research analyst following the telecom and internet services sectors, as a portfolio manager responsible for investing in the telecom and media sectors, and as an investment banker executing capital markets and strategic transactions. Mr. Henry co-founded Bank Street Holdings LLC and has been a driving force in the growth and development of the firm’s investment banking practice. James will be a featured speaker at CAPRE’s upcoming Greater New York City Data Center Summit, so we connected with him for a Q&A about the changing data center market of today. CAPRE: Thanks for chatting with us today, James. What’s the latest from Bank Street Group? What are your thoughts on the market today? Henry: The data center market continues to be vibrant in terms of transaction activity. We see strong demand for acquisitions coming from an increasingly broad set of players. For example, yesterday, we announced that American Tower was acquiring Colo ATL. This deal represents American Tower’s first foray into the data center market, but it’s part of an underlying trend that we see, where we have this kind of convergence of interest in a variety of communications or data-centric asset classes. CAPRE: Interesting. Tell us more about that convergence. Henry: Once upon a time, data center companies, fiber companies, etc were very different businesses. But today you have demand like 5G and hyperscale and web content driving the interplay between all of those asset classes. So it’s interesting to see a tower company acquire Colo ATL. And if you look at other players in that eco-system that are active, that includes Crown Castle, who recently made a large investment in Vapor IO, an edge data center play. STA Communications partnered with Packet on a test program. Again, there’s this convergence of these various assets, and I think that’ll be a dynamic that drives a lot of transaction activity and robust evaluations for the data center asset class moving forward into the future. And the other thing to mention, is that wireless infrastructure providers are getting into the data center arena. That’s a new set of constituents that are having a new impact on the sector. 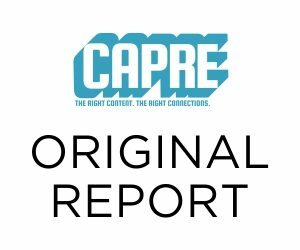 CAPRE: What other changes are you tracking? Henry: The other set of players that are quite interesting are the infrastructure funds and also the financial investors coming from an infrastructure asset orientation, who have identified data center colocation, and particularly hyperscale, as an area of key focus. You have, for example, Alinda Capital Partners, an infrastructure fund who recently partnered with QTS Data Centers on a hyperscale campus in Manasass. They struck a deal to expand that location, to provide a broader availability of capital over time. So in this case, you have the large, deep-pocketed class of investors, with relatively low cost of capital, standing up to underwrite large hyperscale projects and other material opportunities that relate to investment-grade, anchor-tenant customers, with massive growth requirements that need to be financed going forward. So the new entrants in the space tend to be change agents for any asset class. I see wireless infrastructure companies buying and investing as well as infrastructure funds as financial investors in the space. It’s a lot of change in the data center sector. 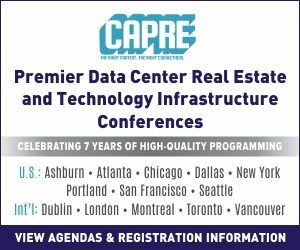 CAPRE: What are you looking forward to about CAPRE’s upcoming Greater New York City Data Center Summit? Henry: This event has consistently been a great opportunity to meet many of the leading executives and investors in the data center arena, year after year. The networking opportunity is top notch. And it’s a big part of why we’ve come to the event again and again. And of course, there’s the programming. It’s a great opportunity to hear from leading thinkers in the industry about what’s going on, aside from the investment perspective, which I’ll be speaking to. So what’s going on with technology, product, and what markets are undergoing material change. it’s a pretty great opportunity to dive deep. CAPRE: So what’s the bottom line? Henry: Our practice is focused entirely on advising companies on acquisitions in the space as well as financing companies looking to acquire or grow. So this seismic change that’s afoot in the industry is a significant positive for us. It’s driving a lot of acquisition activity. So our focus is on staying in front of the companies that are leading the charge in investment and acquisition, and being able to deliver timely and thoughtful advice and counsel to our clients, helping them to navigate their way to a successful outcome on their transactions. CAPRE: Got it. Thanks Henry, we’ll see you soon!